Home » We just beamed a signal at space aliens. Was that a bad idea? In a valley eight miles southeast of the Norwegian city of Tromsø, a radar antenna has just transmitted a short bit of radio programming to potential alien listeners: some specially composed electronic music and a tutorial about geometry and the use of binary numbers. This isn’t the usual approach to the search for extraterrestrial intelligence (SETI). 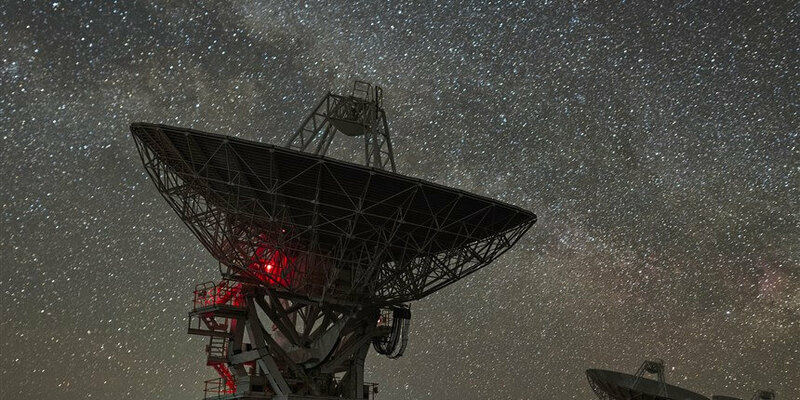 Ordinarily, scientists engaged in SETI use such antennas with the hope of hearing a signal that would have been broadcast tens, hundreds, or even thousands of years ago. So far, no dice. But at least SETI offers the chance of short-term success. It’s like a slot machine that’s been stubbornly ungenerous despite having been fed a ton of quarters. There’s always a chance the next coin will trigger a jackpot. SETI could succeed before tomorrow. That’s not true with the Tromsø transmission. It’s an example of active SETI, or what some scientists call METI (for messaging to extraterrestrial intelligence). The idea is simple: Send a signal that would alert aliens we’re here, and listen for a reply. Obviously, patience is required. The Tromsø broadcast was beamed to one of the nearest star systems believed to have an Earth-like planet. The target, GJ 273, or more familiarly Luyten’s Star, is a runty red dwarf located 12 light-years from our solar system. Since radio waves travel at the speed of light, we’ll have to wait more than two decades before looking for a reply. Despite the lack of immediate gratification, Doug Vakoch, founder of the San Francisco-based nonprofit METI International, has argued that if we really intend to prove that humans have cosmic company, we need to step up to the plate and take the initiative. He envisions the Tromsø transmission as a first step down a yellow brick road that eventually leads to signaling thousands or millions of star systems. Trying to find aliens by pinging only one star system is a long shot. But although the broadcast from Norway is unlikely to provoke a response by any Luytenians, you can be sure it will provoke plenty of Earthlings. That’s because METI is controversial. To begin with, what do you say to someone you’ve never met, and who’s a member of a different species? This has been batted about at more than a few conferences, and much of the conversation centers on whether we should show our bad side. Do we tell aliens that we engage in war, threaten our environment, and chow down on other critters? Personally, I don’t get too exercised about these discussions. Such concerns — while of great importance to us — are likely to be mere curiosities to the aliens. Frankly, it’s hard to think of any credible reason why aliens would do this. But why take the chance? My answer is twofold. To begin with, we’ve been broadcasting into space with high-powered transmitters (radar and TV) for more than a half-century now. Sure, those signals aren’t easy to detect out there in space — at least for someone with our level of technology. But for a society a century or two ahead of us, it would be trivial. And if the aliens are not at least that advanced, they simply won’t have those interstellar missiles. So that’s point one, and it’s a doozy. Our hand has already been tipped. But there’s something else, often lost in the discussion. Limiting strong transmissions skyward will straitjacket our descendants, not just in their efforts to do active SETI but for many other projects that might require beamed radio signals. If we want to map the outer regions of our solar system (to locate errant comets), we’ll need to use radars that are much more powerful than the ones we have today. If we envision having interstellar probes, signaling will be needed to keep in touch. Let’s face it, it’s impossible to know what our great-great-grandchildren will find interesting or worthwhile to do. But telling them to never, ever aim a transmitter skyward is akin to telling them to never colonize Mars because, after all, there may be some indigenous microbes under the soil and it’s their planet. Personally, I hope the Luytenians get in touch. Dr. Seth Shostak is a senior astronomer at the SETI Institute in Mountain View, California.